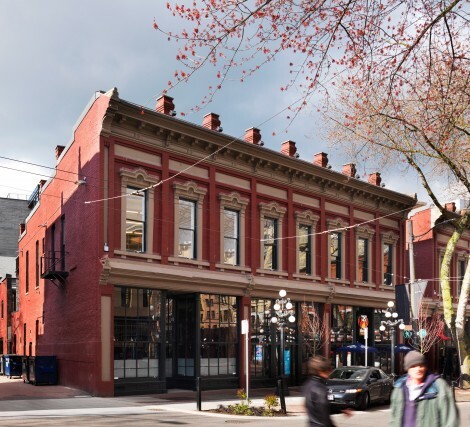 Originally built in 1886, the Alhambra Hotel is one of Vancouver’s oldest buildings with its original form still largely intact. 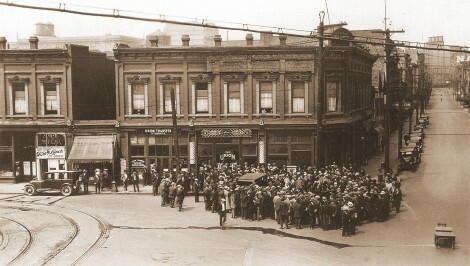 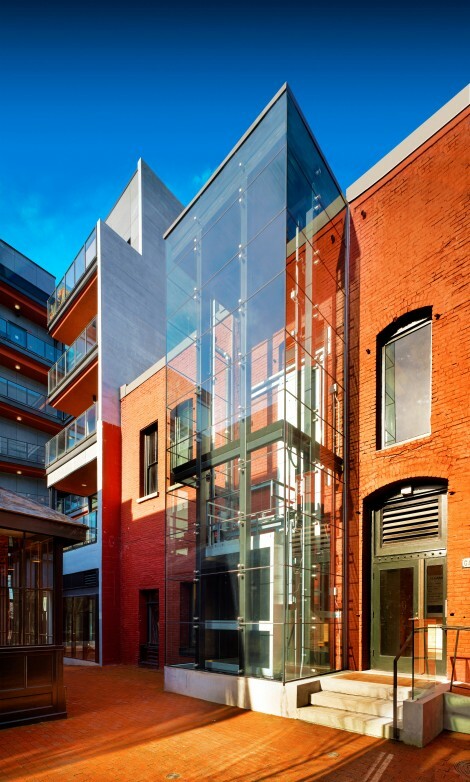 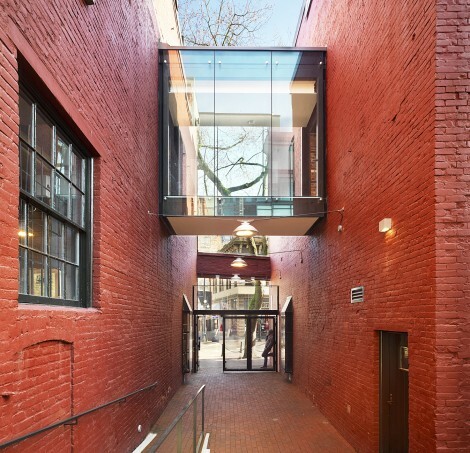 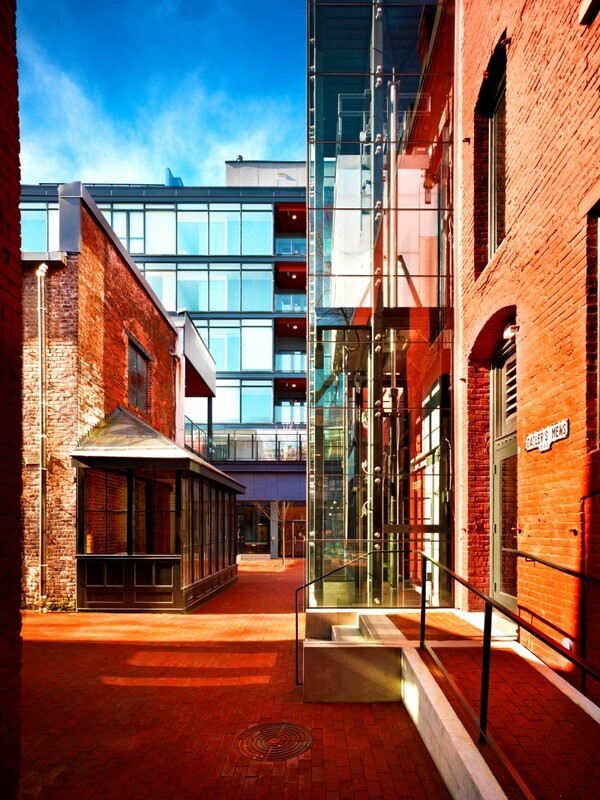 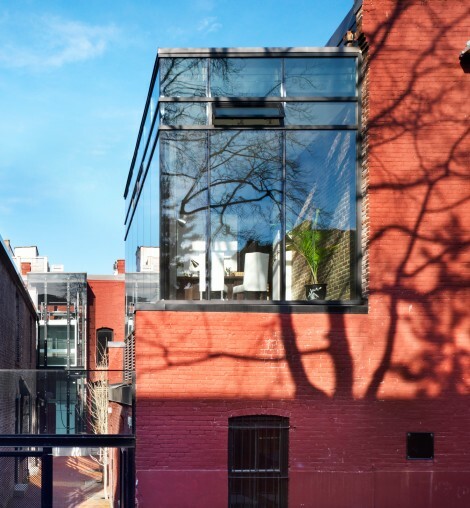 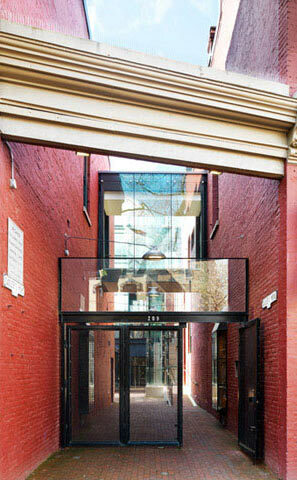 Unique to the building is the passage of Gaoler’s Mews through the historic Gastown district site. 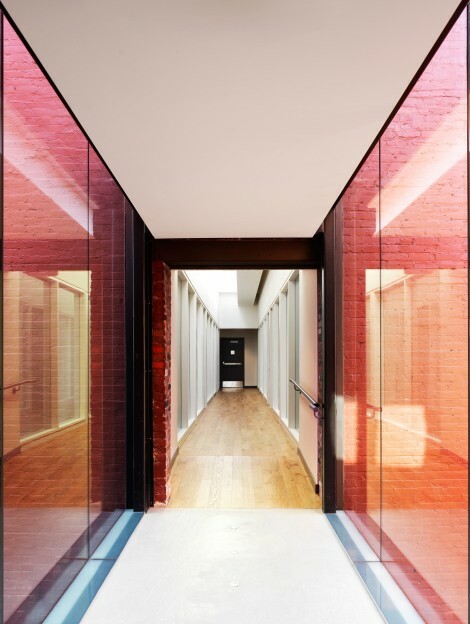 Completed in 2009, the 2,500 square metre restoration and expansion accommodates retail spaces at ground level with office space above. 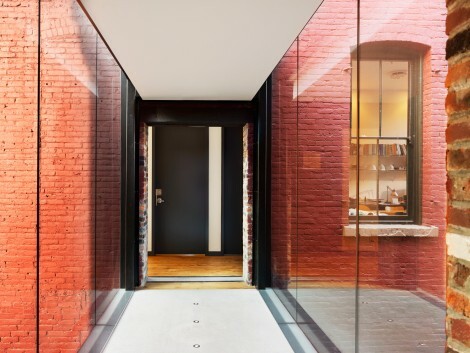 A series of bold, glazed interventions that feature an elevator, bridge and office additions are set against the striking red masonry. 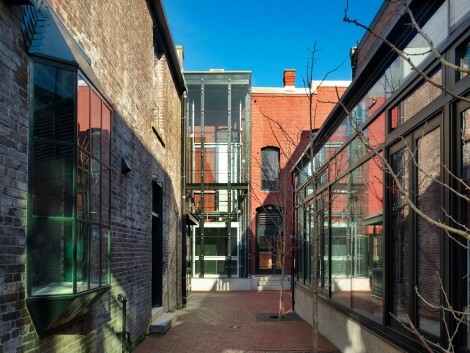 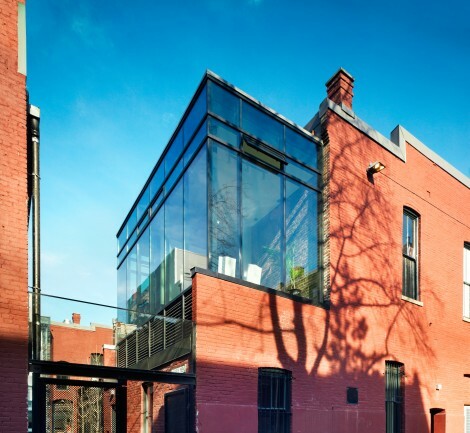 The project was part of a complex, three phase process by which five adjacent heritage buildings were rehabilitated and added onto to achieve a 100% increase in density. 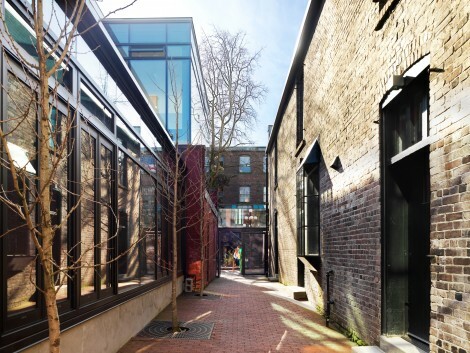 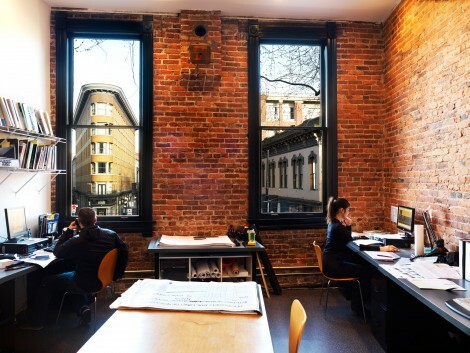 The revitalization successfully transformed a piece of Gastown historic fabric into a vibrant quarter for living, working, socializing and commerce.